As a team, Advanced Boardroom Excellence are committed to undertaking activities which support the wider society. This consists of our direct corporate sponsorship for charitable activities and in addition the use of our time and expertise to support Charitable, Civil Society and Voluntary activities. Through our corporate sponsorship programme we support a range of KidsOut events, including the Annual Summer Ball. Helen Pitcher our Chairman is also the Chairman of KidsOut. Helen Pitcher is passionate about supporting children who are less advantaged and through KidsOut, founded in 1999, helps thousands of children every year across the country who may have escaped domestic violence or come from difficult backgrounds; they may have been excluded from school, have a life-limiting disability or be socially or rurally isolated. Whatever the disadvantage, KidsOut aims to bring fun and happiness into their lives through innovative projects. The White Ensign Association is a charity that provides personal help and advice for all serving and former members of the Royal Navy, Royal Marines, their Reserves and Families. We provide pro-bono advice and guidance to individual directed to us by the White Ensign Association. Our Chairman Helen Pitcher is also Chairman of the The Queen's Counsel Selection Panel. Helen is both a member and Chairman of this independent and self-funding body responsible for awarding appointments as a Queen's Counsel (QC) within England and Wales. Helen Pitcher is a Lay Member of the Employment Appeal Tribunal for England and Wales. Helen is also a member of the Special Appeals Panel for returning Armed Forces veterans. Our Chairman Helen has recently been appointed to the Board of the International Women’s Forum (IWF) UK, a network for outstanding women of diverse achievements and interests. IWF UK provides the opportunity for women leaders to meet their peers through special events, seminars, and other opportunities for exchanging ideas and experiences. IWF UK seeks to open doors, raise awareness of important issues and create role models for the leaders of the future. 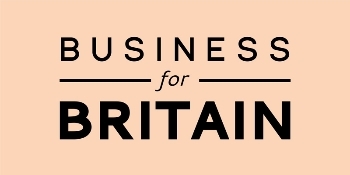 Helen sponsors the Business for Britain (BfB) newsletter. Business for Britain is a campaign run by business, for business, and funded through the donations of its business supporters. "As business leaders and entrepreneurs responsible for millions of British jobs, we believe that the Government is right to seek a new deal for the EU and for the UK’s role in Europe. We believe that, far from being a threat to our economic interests, a flexible, competitive Europe, with more powers devolved from Brussels, is essential for growth, jobs and access to markets. We therefore urge all political parties to join in committing themselves to a national drive to renegotiate the terms of Britain’s membership of the EU." Advanced Boardroom Excellence supports the Employers Initiative on Domestic Abuse (EIDA). Launched in 2016 the EIDA is a network of 120 UK employers that have signed up to work together to develop best practice.